This book is more than just a simple “back to vinyl” sermon, refreshingly. It’s a highly scientific and socio-psychological look at the history of recorded music, the transition from analog to digital, and what that means to people and society. Damon Krukowski writes as a musician, music fan, and techno nerd, yet mixes this all together quite skillfully. He writes about context, signal, and noise in ways that will make sense to most readers. Krukowski writes that people hear in stereo sound. That having two ears allows us to make the small, even tiny, mental distinctions providing much-needed context for the world around us. He tells one story, among others, of a person falling over while riding a bicycle wearing earbuds because, while they were focused on the sounds that were being delivered in their ears, they weren’t able to integrate and HEAR other sounds in the world around them. Krukowski asserts that our stereo hearing is incredibly accurate for providing context for what we actually hear (and need to hear, for the most part) while our brains separate signal from noise. And what’s the distinction? The author explains that signal is the foregrounded sound we’re supposed to concentrate on, ie., music in this case, while noise is the allegedly “unnecessary” sounds that interfere with our being able to focus on signal. The role of technology in separating signal from noise provides the allegedly purer sound that one obtains through digital transmission, eliminating noise entirely. But the question is, is music without (analog) noise what we really want to hear? Krukowski makes the case that it is not. Krukowski’s “The New Analog: Listening and Reconnecting in a Digital World” skillfully examines the science, physiology, and effects of the changes from analog sound to digital sound, not only over time, but now in the rapidly changing musical media world in which we live. By putting our audio experience of recorded music into a bigger context of how people interact with the world, he offers a more intricate view than many who bemoan the emergence of digital music as it’s experienced through devices like head phones, iPods, and even smartphones. He argues that the digital delivery of music replacing analog, tactile music has largely been responsible for the loss of community represented by now many distant-memory record stores where people could hang out, chill, and talk with others about music and other similar interests, while shopping for tangible, artistic items of value that one can hold and play and hear signal WITH noise. He then calls for the re-introduction of the noisy environment once surrounding all music, that would lessen the near-total isolation with which people now experience music. The only reason I am giving this book 4 stars instead of 5 is that he sometimes gets caught up in going seriously too far into hard technology that one might need an engineering degree to fully appreciate, and the middle has an extended section that drags a bit as a result. However, he ultimately delivers a very thoughtful analysis at how rapid technological change leads to unanticipated social consequences that aren’t always good. A very interesting and decent book and recommended for all audiophiles, vinyl (and CD) enthusiasts, and music lovers in general. 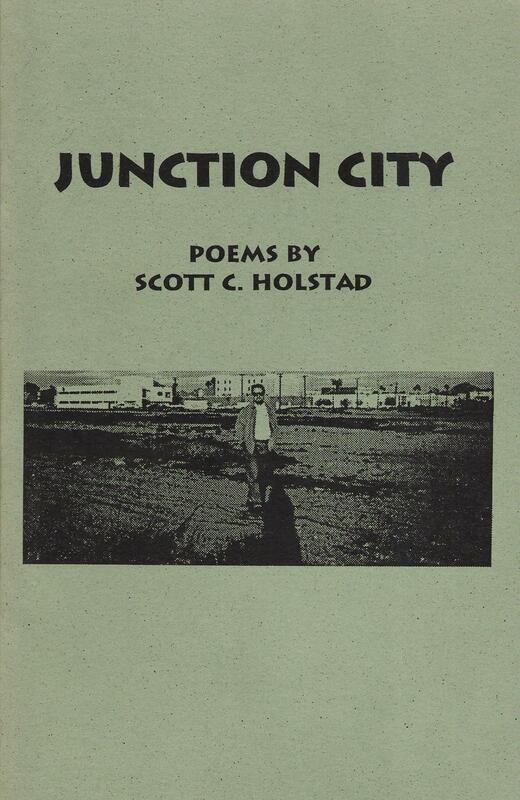 As an alumnus of Long Beach State, or California State University Long Beach, as it’s officially known, I was really excited to hear this book existed, to get it and read it. And I largely, mostly enjoyed it, and am glad it was written. I liked learning lots of information about its founding and the early days, its growth through the ’50s and ’60s, and even interesting info when I was there for grad school in the early 1990s…. But… I was annoyed it was only “A Brief History,” because as one of the largest and most diverse universities in California, I thought the book could — and should — have been easily three times longer and STILL left out lots of info! The author picked a few key topics and wrote short three and four page chapters, and I felt she could and should have written 10, 15, and 20 page chapters on topics such as, say, the sports programs. Nothing about the baseball team, which went to four College World Series beginning while I was there, or much about the women’s basketball team, which went to two women’s Final Fours during the years my undergraduate alma mater, Tennessee, was winning its first of eight national championships. I also found parts of it depressing, as how while the state created the school, initially as a teacher’s college, and then as a four year state school, and finally as a state university with numerous graduate programs, including even several PhD programs now, there was never enough money for the school to do anything to help itself, and thus, for years, it was just dirt, and muddy when it rained, parking lots, with dirt roads cutting through the campus, and how it initially started in two apartment complexes and how the first buildings, still in evidence there, looked like Soviet-era concrete block bunkers, which I found depressing when I was there, and you could tell how it went through growth spurts just by looking at the differing architectural styles, and how it’s always been a commuter school, unlike Tennessee or UCLA, two other non-commuter schools I went to, and the lack of support for most of the sports teams — except for women’s volleyball, strangely, although in fairness to that excellent program, it’s won a crapload of national championships and finished as second place runner up many other times, so what awesome success, but the school has had other sports programs that have experienced success, such as the baseball team, and at times, the basketball team, and I was disappointed to see how the small part on the basketball team focused on the early Jerry Tarkanian years and never mentioned coach Seth Greenwood, who was coaching when I was there and how two of our players were drafted by the NBA while I was there, one of them especially experiencing great success playing with Karl Malone in Utah, or even how the recent teams have experienced great success and have dominated the conference, gone to the NCAA tournament, and become nationally famous for playing any team, any time, anywhere, and plenty of top 20 teams, such as North Carolina and Kansas at those schools, and being very competitive, even beating some, such as top 20 Xavier, losing at UNC by only 3 points, etc, before going on to own its conference once conference play started. Nothing about that. I would have even liked to find out some info on the water polo and beach volleyball teams! Oh well. I appreciated the history of the Greek system there, because it was an issue when I was a student, as I recall, but again, felt discouraged that CSULB constantly had to hold fund raisers in the community to do things like buy tons of peach trees to plant to hide the ugly concrete buildings, and put brick patterns on the walls of some of these buildings, thus starting a new architectural style, begging for money to finish the famous Long Beach State Pyramid, where the basketball team plays, on how they had to start a new Scholars program, done while I was there, to bring up its academic reputation and attractiveness to students by giving school valedictorians a free ride — which worked! In the 1980s, US News & World Report rated LBSU as a pretty crappy school, but for the past decade or more, it’s gotten outstanding scores in a number of areas and has been listed as basically one of the three most ideal and attractive largely non-PhD granting universities in the West, and how it’s the best school for the money, the best ROI-type school in the entire country, and one of the most diverse schools in the country, and how the students who graduate from Long Beach owe less than most students from virtually all of the other universities in the country, etc, so it’s gotten high US News scores for a long while now, and has established itself as a decent academic school, thanks to a number of good programs instituted in the 1990s and up. I’m very proud of how far my first graduate alma mater has come in just a few short years, relatively speaking, starting with practically nothing and progressing to an appealing, well regarded university. 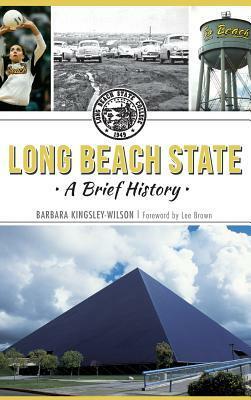 I also enjoyed reading about all of the celebrities who attended Long Beach State, like the Carpenters (they were building the Carpenter Auditorium, or whatever its proper name is, while I was there), Steve Martin, Steven Spielberg, Chris Carter, and numerous baseball players, among others. I already knew about most of them, but it was still cool to read details I didn’t know. And I had to laugh about the t-shirt I read about regarding the now-gone football team. It reads “Long Beach State Football: Unbeaten since 1991.” The program was shut down back in 1991, the year before I got there, after new and legendary coach George Allen had died unexpectedly, because very few people supported the teams by attending the games over the years, and it was a huge drain on an already always tight school budget. I was deeply disappointed to attend a school whose football program had just been shut down, especially after going to UT, where the team competed for — and won — national championships on a regular basis, but a lot of smaller schools shut down their programs back then, like East Tennessee State University, just up the road from Knoxville 100 miles, among others because it takes a LOT of money to have and run a college football program, especially if you want to truly be competitive. I came to accept this over the years, and embraced that t-shirt’s slogan to the point of ordering one from the school just a week ago, literally, and I’ll now proudly wear it and laugh to myself as people will undoubtedly look confused when they see it. All in all, it’s a decent little book, and I’m glad it was written and I’m glad I read it. But I STILL wish it wasn’t a “Brief History,” because I think the school deserves a “Comprehensive History,” and I guess I’ll just have to wait to see that one written some time in the future. Recommended for anyone who has ever attended or graduated from Long Beach State, as well as any interested Cal State University system supporters and Long Beach/L.A. County residents.